This entry was posted in All posts, Arsa-prayoga, As remembered, BBTI, Bhagavad-gita As It Is, Direct quotes, Examples of changes, Jayadvaita Swami, Krishna Book, No authorization, No reply from BBT International, Prabhupada said, Previous acaryas, Sri Isopanisad, Srimad Bhagavatam and tagged arsa-prayoga, authorization, bbt, BBTI, Bhagavad-gita, examples of changes, Jayadvaita, posthumous editing, prabhupada, sanskrit translations. Bookmark the permalink. Am I wrong in my understanding that the drafts (that are wrongly referred to as manuscripts) for the Bhagavad-gita As It Is were NOT typewritten by Srila Prabhupada? 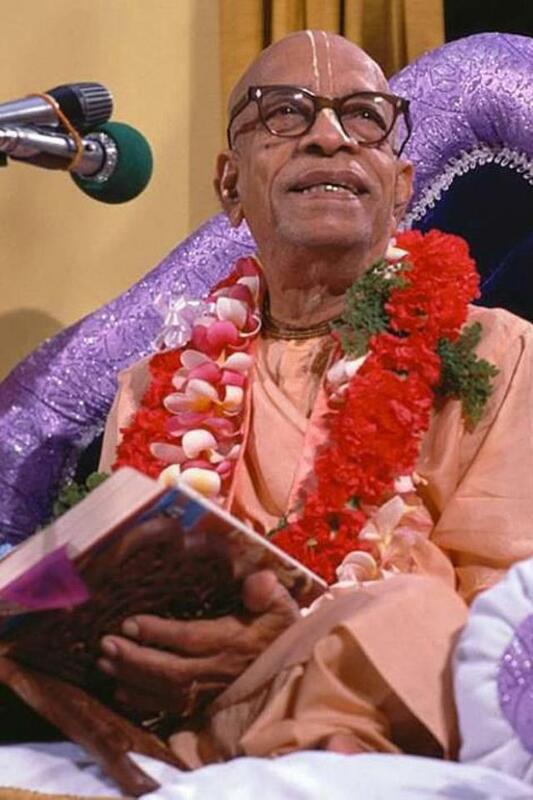 My understanding of the history is that Srila Prabhupada did type a translation of the Gita but that version was stollen when his room in NYC was broken into and at that same time his typewriter was also stollen and neither was ever recovered. So then he proceeded to do the entire work all over again but this time using a dictaphone machine. So the drafts that JAS is falsely claiming to be manuscripts are the PRE-EDITED rough draft transcription made by a devotee from the dictation machine reel to reel recordings. Then Srila Prabhupada instructed Hayagriva Prabhu to edit those drafts (the ones JAS falsely calls manuscripts) to make another draft that Prabhupada and Hayagriva carefully went over to create the manuscript. 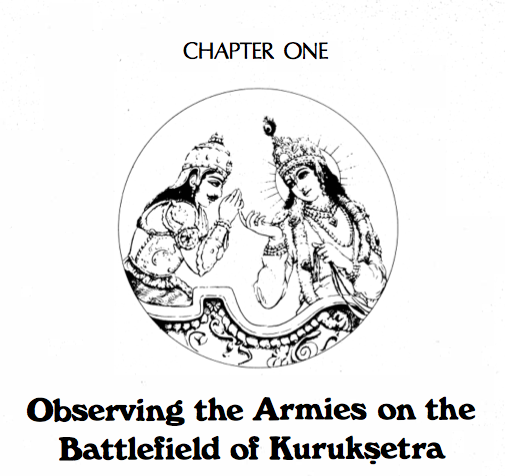 Then that Manuscript was published as the Gita we now refer to as the Macmillan 1972 GIta. > The real thing is Srila Prabhupada empowered and personally chose and oversaw Hayagriva’s work and then authorized, blessed, empowered and personally read from it. If you believe this myth then it shouldn’t be difficult to explain how Hayagriva’s disagreement with puranic cosmos (one-sun universe) got into BG 15.12 p., although the manuscript, OT or whatever one wants to call it has one-sun universe and the quote of BG 10.21 with the moon as one of the stars. This passage was put back in the 1983 ed. So it seems the first manuscript was stolen in India, and Prabhupada typed a new one in America which was not stolen. But still there is the point about the dictaphone recording as opposed to Srila Prabhupada personally typing. It would be interesting to know exactly what Srila Prabhupada typed and what he did not, just for future reference. The real thing is not whether Srila Prabhupada typed the manuscripts or drafts or dictated them into a dictaphone and someone else transcribed them. The real thing is Srila Prabhupada empowered and personally chose and oversaw Hayagriva’s work and then authorized, blessed, empowered and personally read from it. So anyone with any intelligence (well at least anyone but JAS) can understand that when any author publishes a book and then approves it it is final. On top of that even the author himself reads from those finalized books further proving the validity and finality of them. Then on top of that the author has the words “THE COMPLETE EDITION” published in all capitals in the very beginning of the book to further drive this point home (then the new editors remove this from the front of their bogus edited version, LOL). On top of that there is not one single review on the new bogus edited version of the book but there are tuns of scholarly reviews on the original blessed book where the scholars are praising the validity and incredible composition and authority of the book that the new upstart editors are claiming is wrong and invalid! It is insane! I personally have approached some professors and scholars asking them about Srila Prabhupada’s Gita and they literally kicked me out of their office saying that “the work of swami Prabhupada has been destroyed by his followers due to this disrespectful posthumous editing” and they wanted nothing more to do with me. It is a complete embarrassment and scar on Srila Prabhupada and this movements reputation. Considering all this any sane man can only naturally conclude that it is simply an attack on the author to posthumously go back to some drafts that the exact source of is unknown (even JAS admits this), and change that authorized book back to those drafts which were probably just pulled out of the trash or something. Just want to let you all know that of all changes made to the sanskrit word for word meanings of chapter 1, only 2 of them are back to the so called original manuscript. The rest are either changes to the way the sanskrit synonyms are divided and written and/or direct changes to the English translations. Of course, changing back to the “original manuscript” is a mistake in itself. Very nice discussion going on. I remember picking up a 1983 Gita some time back and there was a comment like this: “The perfect has been made more perfect! ” What absolute nonsense! I’m very upset about all this. In fact I feel like a riven-cloud not knowing which one is closest to Srila Prabhupada’s original. Please clarify… I have no interest in anything but Srila Prabhupada’s Originals. Please sadhus… it’s very important to me. I have no desire to read anyone else’s!